Goldhofer trailer is one of the most popular hydraulic modular trailer all over the world. 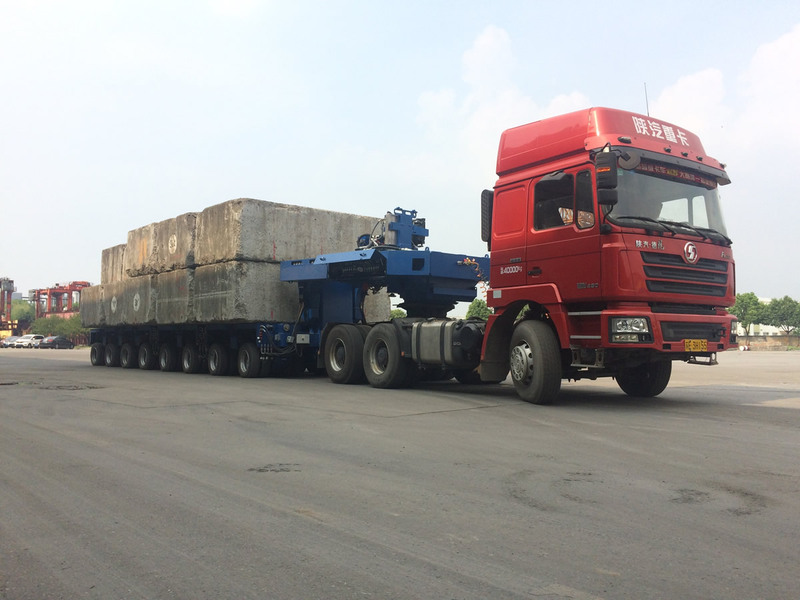 China SinoTrailers is a factory of G3.0 model modular trailer which can be connected and worked together with original Goldhofer trailer in fully condition, especially the most classic type THP/SL. Difference between Goldhofer trailer and G3.0 is that our steel structure of frame chassis is enhanced. Improvement, modification, trouble shooting, renovation and upgrading of your old GOLDHOFER trailer are also available here in SinoTrailers. Choosing SinoTrailers G3.0 trailer is a good and economical option for you to expand your Goldhofer trailer fleet. Tow bar and hydraulic gooseneck can be chosen for various demands and road conditions. Trailer parts like tire, axle, control panel, power packs and other parts can be used in original Goldhofer trailer. 100% compatible with originally manufactured THP trailer. 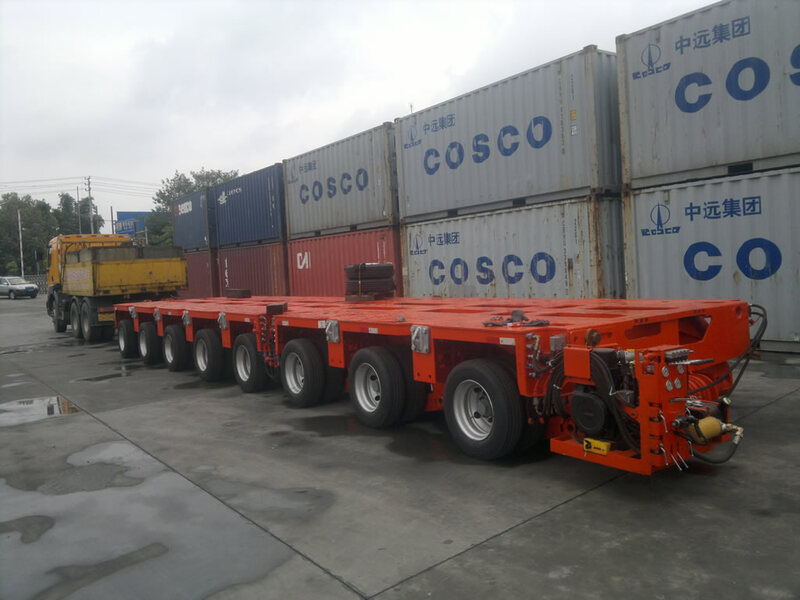 Excellent and strong main frame design make the trailer competent in weight concentrated cargo. Unique slew bearing connects trailer chassis and suspension. Precise steering system save tyre consume. 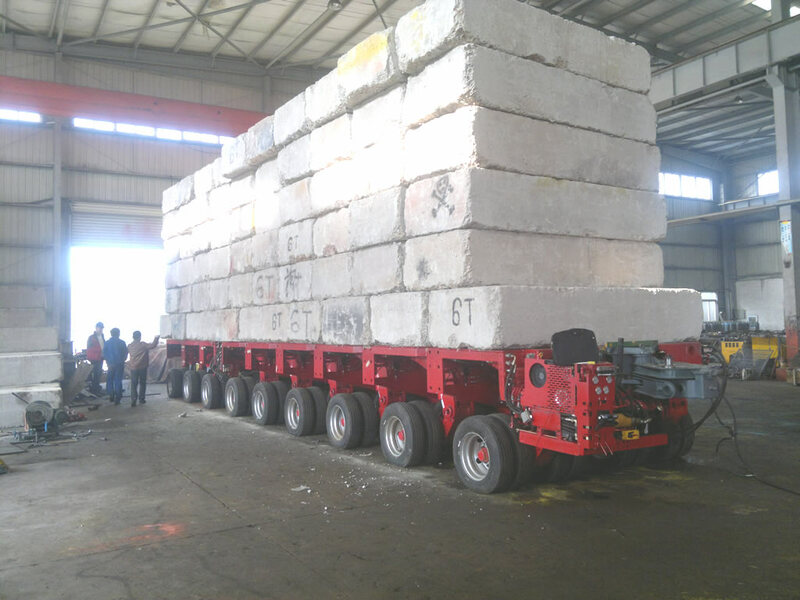 Trailer chassis frame has built-in braking air tank and hydraulic oil tank. Small power pack can be deployed on ends of modular trailer, save more space from trailer’s deck for oversize cargo. Wire control of steering and lifting is an option. Steering cylinders deployed inside trailer’s chassis, provide powerful steering force. 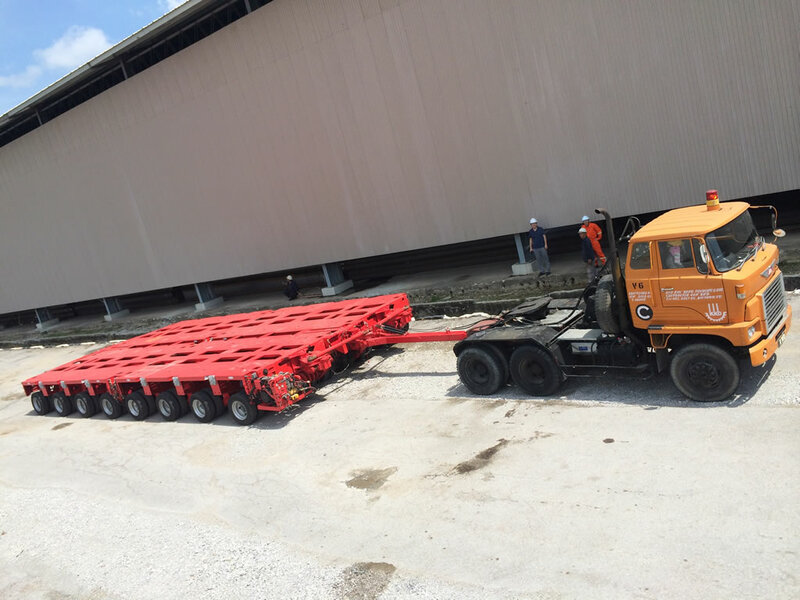 Hydraulic energy accumulator and jack make sure trailer’s 600mm lifting distance and smooth moving. Lombardini (Kohler) or Deutz diesel engines for options. G3.0 trailer parts are replaceable with Goldhofer trailer parts. 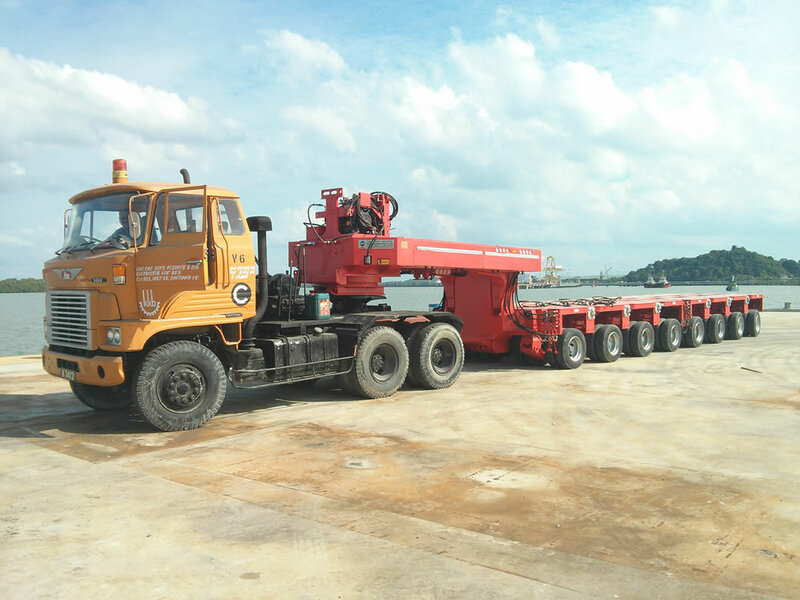 Max capacity of 45 tons per axle-line. Overflow valve protect hydraulic system in case of leakage happens. Optional tail and side lights. When G3.0 trailer equipped with power pack unit and driving axles, it transformed from trailer to self-propelled Goldhofer PST.